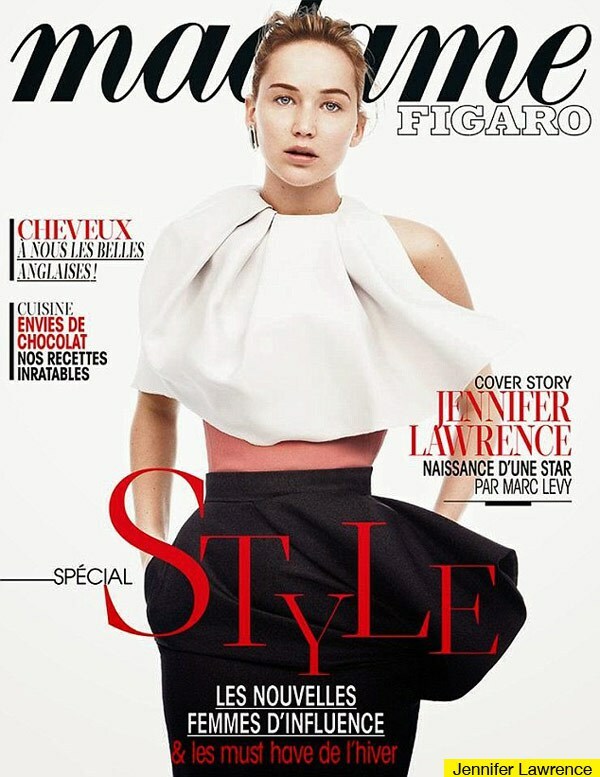 -Um, where did Jennifer Lawrence’s waist go on this mag cover? -You should definitely stop everything and watch Sesame Street’s Hunger Game parody. -Was Brittany Murphy poisoned? Just when you thought her story couldn’t get any sadder, there are some disturbing new toxicology reports that suggest both her and her husband had rat poison in their systems when they died. -There is a very shaky rumour that Ryan Gosling might someday, maybe, possibly reunite with Rachel McAdams, and the internet is trying to pray it into being. –Alec Baldwin continues to be kind of the worst. He’s been suspended from MSNBC for his most recent homophobic and derogatory slurs. His daughter has jumped to his defense (she’s obviously gotten over the “little pig” comments he once made about her). –Tom Cruise and John Travolta attended yesterday’s grand opening of Scientology’s new $145m cathedral, where members will be trained to develop ‘super powers.’ That’s swell. –Kanye West spoke at Harvard this weekend. He was “a bit self-conscious,” which is hard to fathom. -Meanwhile, SNL’s skit on Kanye and Kim was less hilarious, and more sobering — mostly because we can all see it happening. -Meanwhile, is this the saddest photo of Kimye ever snapped? –Gisele Bundchen‘s trigger-happy bodyguards were convicted of attempted murder and sentenced to five years. –Olivia Munn and Stephen Merchant were spotted together in London, though it was probably work-related, as she’s still dating Holder. –Judy Greer wrote a memoir? I now know what I want for Christmas! -Sadly, Adam Driver says ‘there’s no truth‘ to rumors he’ll play Nightwing in the Man of Steel sequel. –Russell Brand says he’s “in love” with Jemima Khan and has denied those cheating allegations. –Christian Bale has lots of nice things to say about Batkid, while the cast of Arrow made him this cute video. -Speaking of Arrow, CW is so confident in its Flash spinoff idea that they changed it from a backdoor pilot episode to a regular pilot. –Jessica Alba pocketed $52 million to tell you about the organic lifestyle. Now seems like a good time to link to the New York Times’ recent takedown of celebrity lifestyle gurus. -Just in case you need more proof that Cory Feldman is a whiny b*tch, read this dodgeball story. -It appears that Paris Hilton has no idea what Chinese food is. -If you need a reason to watch Sleepy Hollow (and you really shouldn’t because it’s awesome), tonight’s episode features Ichobad learning how to fist-pump! -Speaking of great speeches, watch Angelina Jolie‘s moving Governors Awards acceptance speech. -Apparently, if you want to steal a whole bunch of jewelry, just pretend you know Nick Cannon. -Everyone’s pulling out the quote about Jake Gyllenhaal telling Taylor Swift that listening to her Red album was “bittersweet,” but the whole interview is pretty fascinating. -Meanwhile, Victoria’s Secret Angel Jessica Hart is backtracking from her Taylor Swift diss. -What the hell is Christina Ricci doing in this Lifetime movie!? -Thanks to a casting call for a body double, now everyone knows Britney Spears’ measurements. -Also, Britney‘s’ new song “Alien” leaked online today. -It’s so sweet of Eva Longoria to make sure we know exactly who she’s dating at all times whether we want to or not. -Aw crap. The How I Met Your Mother spinoff is going ahead. It’ll be How I Met Your Father, because god forbid anyone attempt an original thought. -Speaking of BB alums, Anna Gunn just joined the US adaptation of Broadchurch. -Also, a new trailer has landed for Aaron Paul‘s Need for Speed. I’m going to see this and hate myself for it.